A brush fire in Boston's Fenway area caused significant traffic delays. 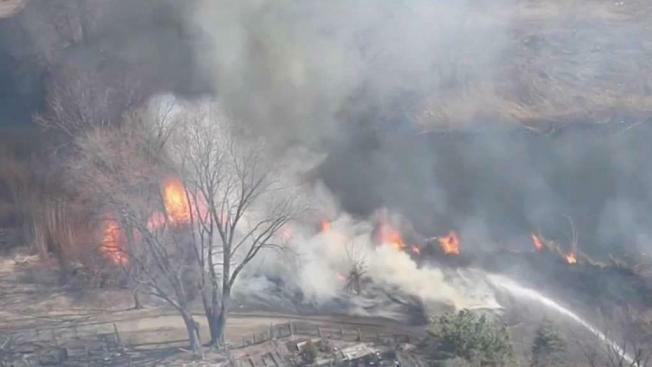 Firefighters responded to a massive brush fire Thursday morning in Boston's Fenway neighborhood that caused traffic delays in the area. 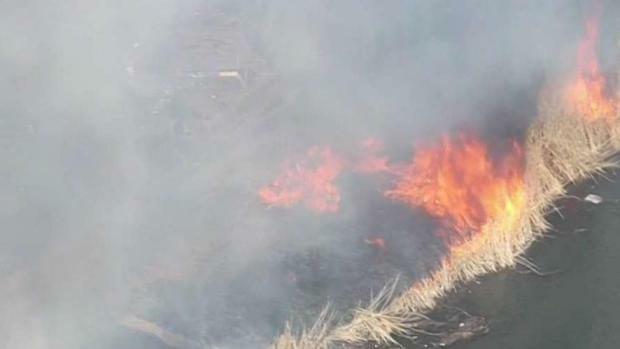 Aerial footage from NBC10 Boston's Sky Ranger helicopter showed thick, black smoke and flames coming from the dry brush in the Fens. Details on what led up to the blaze were not immediately clear. Injuries were not immediately reported by authorities, but Sky Ranger video showed at least one person being taken away from the scene in an ambulance. Significant traffic delays were reported on Boylston Street near Charlesgate. Plumes of thick black smoke could be seen as far away as North Weymouth. Wind gusts on Thursday morning were about 15 mph in the area, according to a Weather Underground station near the Fens brush fire.